I had a blast celebrating Songkran, the Thai New Year, in Chiang Mai, a historic town and traveller-nexus in Northern Thailand. The water-festival, marking the Lunar New Year, has origins in the act of pouring water on someone as a sign of respect. 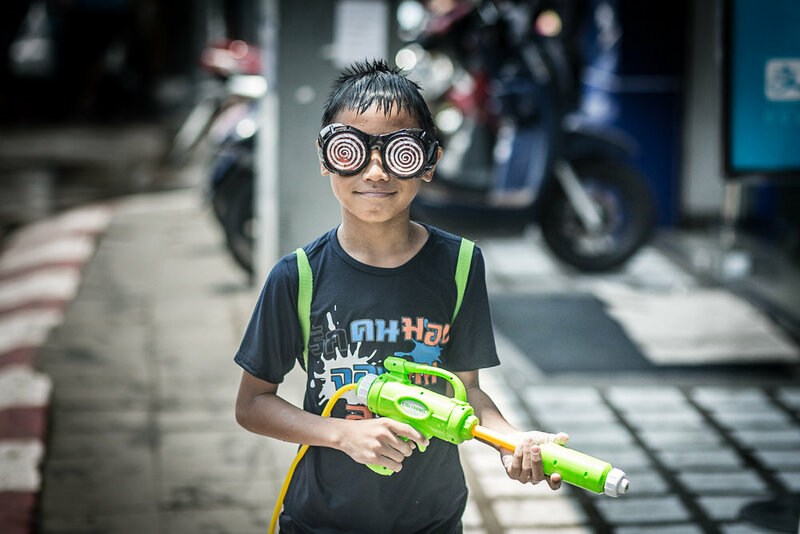 Officially, Songkran, which lasts 3 days, doesn’t start until April 13th; however, celebrations were well underway the day before, with (mostly) young people taking to the streets in colorful clothing to spray one another with water guns. 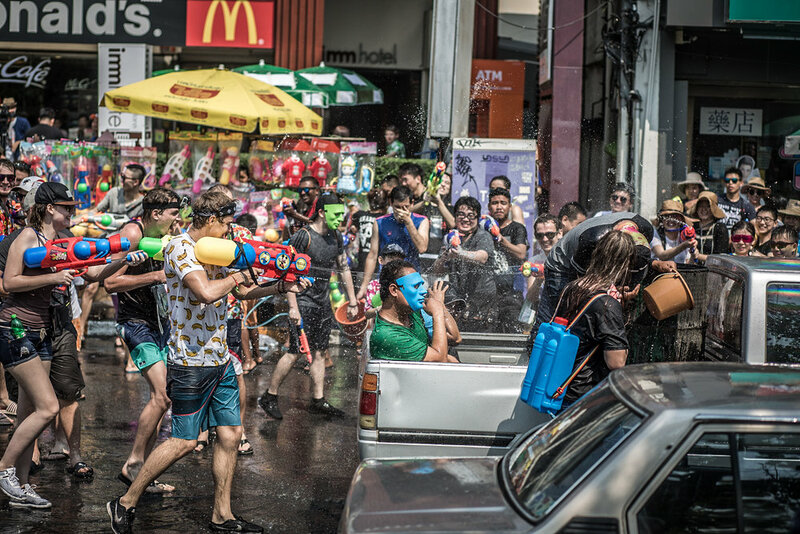 The country-wide water fight persevered for the next 3 days as Thais celebrated the transition from Pisces to Aries. Chiang Mai is home to one of the country’s most exuberant Songkran celebrations and many tourists, especially young westerners, set upon the town for the festival. Although the presence of so many young, intoxicated westerners donning tank tops and baseball caps imposes on the scene an unshakable frat-pate vibe, the festival was generally good clean fun with people of all ages, foreigners and locals, just having a great time roaming the streets and spraying strangers with sousing implements ranging from buckets (sometimes nefariously filed with ice water) to super soakers. Other, more traditional, elements of Songkran include parades, pageants, costumes, family gatherings, and pouring rose-water over Buddha statues—a sign of reverence.